Size: 2-Ton (4,000 lbs.) Capacity, Lift Range : 5" -14" . 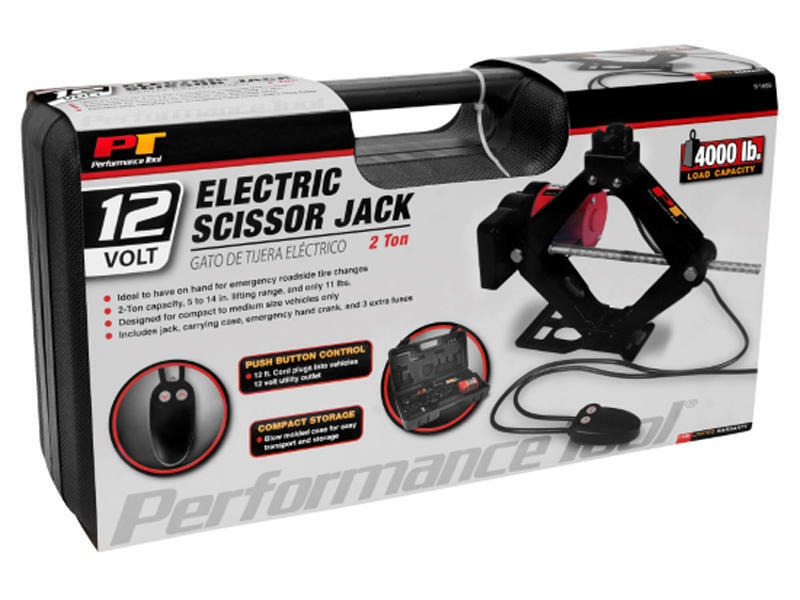 12V electric scissor jack is ideal to have on hand for emergency roadside tire changes. 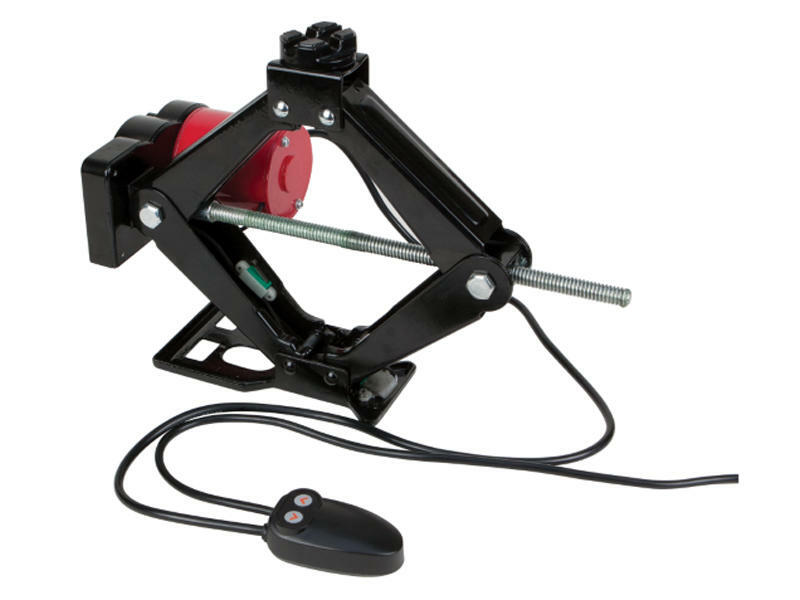 Push button controller with 12 foot cord, plugs into vehicles 12 volt utility outlet. Packaged in blow molded storage case for easy transport and storage. Compact size for easy transport and storage in the blow molded case. Designed for compact to medium size vehicles only. Included: Jack, carrying case, emergency hand crank, and three extra fuses.